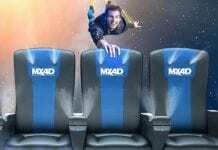 A leader in interactive technology, MediaMation (MMI), has been awarded a US patent for its innovative armrest that emits effects such as wind, air and water blasts. The new system gives cinema audiences a heightened experience by immersing them in the film’s environment. 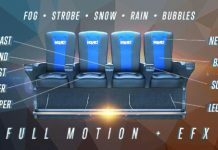 The armrest is a key component of this immersive offering, emitting wind, air and water blasts, and scent effects on cue to MMI’s 4D motion EFX seat programming. Delivering all immersive effects directly to the audience seating ensures that every cinemagoer has the same high quality experience, no matter where they sit. What’s more, the armrest makes life easier and more cost-efficient for operators, too. There’s no longer any need to install separate immersive components in cinemas, such as a network of fans, to create these effects. This cuts outs both maintenance costs and the energy expenditures to run such components. 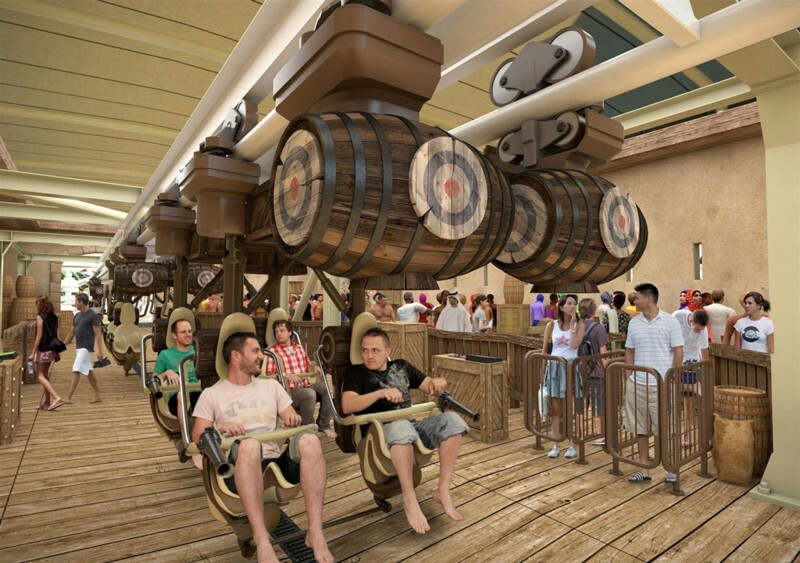 According to Dan Jamele, Chief Innovation Technology Officer at MMI, this latest innovation reflects the company’s ongoing mission to offer cost-effective, user-friendly solutions to attractions and cinemas throughout the world. 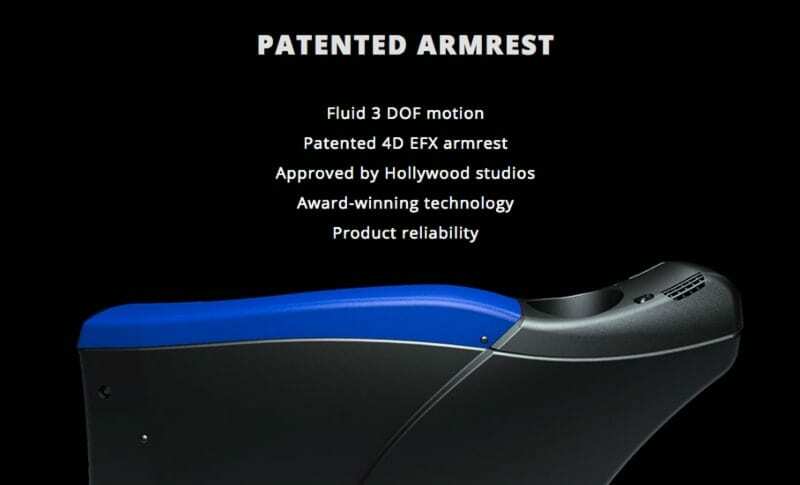 “We are very pleased that the US Patent office agrees that our EFX armrest is a unique technology that we can add to our products,” commented Jamele. 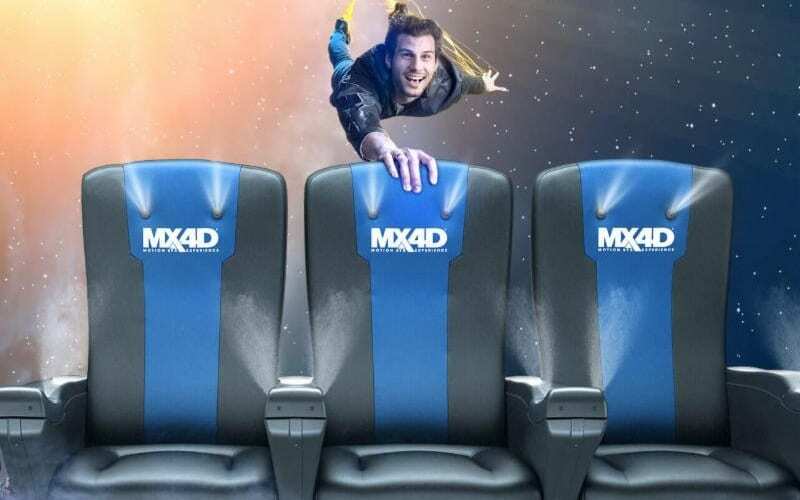 Guests can experience the new immersive system in MX4D® theatres around the world. Upcoming titles include Sony’s “Venom” starring Tom Hardy on October 6th and Universal’s “First Man” starring Ryan Gosling, opening October 12th. MMI has been providing innovative technological solutions to the Cinema and Themed Entertainment market for 27 years. Last year, it entered the rapidly expanding ESports industry. 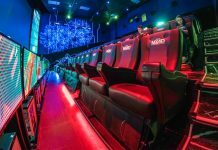 With over 300 installations worldwide, the company is renowned for its 4D Motion EFX theatres and seats, including its MX4D Motion EFX technology. 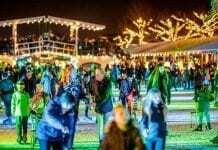 MMI also designs and implements turnkey creative solutions for complex shows, rides, exhibits, fountain shows, etc. 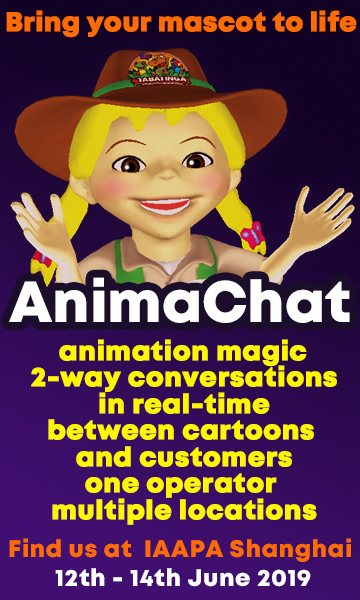 for theme parks, zoos, aquariums, museums, cinemas and FECs.